Heat, heat, and more heat. In the cockpit of a machine that reaches speeds of up to 200 mph, my "office” tends to resemble the Arizona desert in summer rather than a climate-controlled suburban office building. As a race car driver, especially racing on hot summer days, it is imperative to ensure proper hydration. With a combination of 100-plus degree ambient temperature, heat from the motor that can reach upwards of 280 degrees, and wearing a double-layer Nomex fire-retardant suit, a driver often faces the threat of heat exhaustion if not careful. Eldorado Natural Spring Water is a lifesaver. In a recent study performed by Landon Cassill in the NASCAR Cup Series, Cassill demonstrated that a driver will often face upwards of 131 degrees in the cockpit of a race car for hours at a time throughout a long race. Dehydration can be dangerous in this intense environment. To prepare for race weekends, I will often start my hydration program seven days before a big race by consuming gallons of Eldorado Natural Spring Water. In a long endurance race, a driver can lose between 5–10 pounds in perspiration due to the high temperatures and demanding efforts inside a race car. In addition to race car drivers, the crew guys work hard in the hot, demanding sun for several days at a time during a long race weekend. It is just as important for them to stay hydrated to avoid fatigue and heat exhaustion and to stay focused and alert in order to best serve their teams. Car racing seasons are summer events in which high heat is always a big factor. Water is essential for high performance. 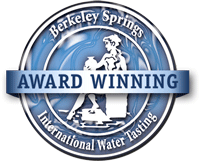 I am happy to endorse and consume the best natural spring water in America. Eldorado Natural Spring water has a perfect pH and tastes great! Even if you don't drive a race car, Eldorado water can still keep you hydrated. And they deliver their delicious spring water straight to your door! Ready to learn more? Chris Eggleston is a professional NASCAR driver racing for Bill McAnally Racing. He began racing at the tender age of five, at which point he became a six-time Quarter Midget National Champion with three world records. Fast-forward to 2016 when he captured seven top-three podium finishes in fourteen starts. 2017 was even better, with fourteen wins to his name. 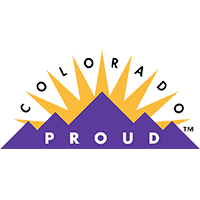 Chris is a proud resident of the fine state of Colorado.